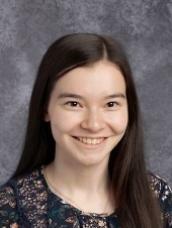 She credits the high-energy methods learned at Torch Prep, a four-week ACT preparation class hosted at the high school this year, for the strategies she learned to improve her test-taking skills. She also took advantage of the practice tests the program and an English teacher offered. “I read the answer explanations for every question I either missed or was unsure about so that I wouldn’t miss those types of questions again,” she said. “Take advantage of boot camps that simulate real ACT testing conditions, and take advantage of the answer explanations at the end of every practice test so that you understand why you missed a question,” she said. “Doing well in a foreign language will help you on the English section, reviewing math concepts and working through practice problems will help you on the math section, and annotating your test booklet will help you on every section,” she added. Bill Rice, Principal at Fairfield High School, praised Lindsay’s drive to be successful, the teachers and staff who have worked with her, and the school’s partnership with Torch Prep. With biology and history as her favorite subjects, Lindsay is considering a major in biology after graduation. She wants to go to medical school to become a doctor or surgeon. “We are all so excited to see Lindsay continue her successful ways during her senior year and after high school,” Rice said.